EL SEGUNDO, Calif.--(BUSINESS WIRE)--Apr. 9, 2019-- Stamps.com® (NASDAQ: STMP), the leading provider of postage online and shipping software, today announced the appointment of Katie May to its Board of Directors. As founder and chief executive of multiple successful start-ups, Mrs. May brings with her more than 20 years of experience building high-performing business models with disruptive technologies. She has a long track record of driving significant customer and revenue growth. Prior to her success with ShippingEasy, Mrs. May founded Kidspot.com.au, where she presided as CEO over the thriving start-up from 2005-2011 until its sale to News Corp. 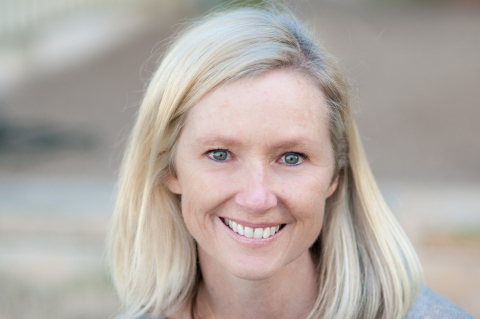 Her successful streak of start-ups and exits also includes SEEK.com.au, which became the number one job site in Australia during Mrs. May’s tenure as CMO. She also brings more than 12 years of experience as a board member to her new appointment. Stamps.com (NASDAQ: STMP) is the leading provider of postage online and shipping software solutions to customers including consumers, small businesses, e-commerce shippers, enterprises, and high volume shippers. Stamps.com offers solutions that help businesses run their shipping operations more smoothly and function more successfully under the brand names Stamps.com, Endicia®, ShipStation®, ShippingEasy®, ShipWorks®, and MetaPack™. Stamps.com’s family of brands provides seamless access to mailing and shipping services through integrations with more than 500 unique partner applications. "Safe Harbor" Statement under the Private Securities Litigation Reform Act of 1995: This release may include “forward-looking statements” within the meaning of Section 27A of the Securities Act of 1933, as amended, and Section 21E of the Securities Exchange Act of 1934, as amended.Forward-looking statements are statements that are not historical facts, and may relate to future events or the company’s anticipated results, business strategies or capital requirements, among other things, all of which involve risks and uncertainties. Important factors, including the company's ability to successfully integrate and realize the benefits of its past or future strategic acquisitions or investments, to complete and ship its products and to maintain desirable economics for its products, as well as the timing of when the company will utilize its deferred tax assets, and obtain or maintain regulatory approval, which could cause actual results to differ materially from those in the forward-looking statements, are detailed in filings with the Securities and Exchange Commission made from time to time by Stamps.com, including its Annual Report on Form 10-K for the year ended December 31, 2018.Matters described in forward-looking statements may also be affected by other known and unknown risks, trends, uncertainties and factors, many of which are beyond the company’s ability to control or predict. Stamps.com undertakes no obligation to release publicly any revisions to any forward-looking statements to reflect events or circumstances after the date hereof or to reflect the occurrence of unanticipated events.